It’s been nine years since Final Fantasy XV was announced by Square Enix. Back in 2006, the title was Final Fantasy Versus XIII and gamers had no idea what kind of wait was in store. Finally, after years of waiting and an out-of-the-blue demo release, gamers have their chance to take a taste of Final Fantasy XV with Final Fantasy XV: Episode Duscae. Episode Duscae drops players into a patch of wilderness called the Duscae area. The story for the demo is established very quickly. You play as Noctis, a prince within this world, traveling with his three companions. By some fault, you’ve broken your vehicle and must gather the funds necessary to repair it. It quickly becomes apparent that a bounty on a local roaming monster, a behemoth, is the best option. After learning how to walk, players are given a chance to try out the new combat system. The combat itself is probably the biggest focus of this demo and an included tutorial does an excellent job of introducing it. Combat will not be strange to players of games like Kingdom Hearts or Devil May Cry, as it is a typical third-person, hack-and-slash game. However, XV brings some new, extremely refreshing elements to the genre. In addition to his regular attacks, Noctis has an MP bar that drains according to his actions. Certain regular attacks fill the bar up, while using moves from the easily accessible, small pool of fighting techniques drain from it. The techniques you know appear to be tied to the weapons you have equipped at any given time and range from wide-area swings of a great sword, to a powerful and familiar jumping lance maneuver. Noctis also has five slots for weapons — Crush, Ravage, Vanquish, Counter, and Descend — that all correspond to parts of his basic-attack combo. These weapons can be changed out on-the-fly in combat, allowing players to experiment with what works best for the particular enemy they’re fighting. This leads to a lot of replayability, even with just the five weapons in the demo. With the Final Fantasy series’ penchant for lots of creative weapons, this seems to be the most potentially interesting feature. The most fun addition, however, is Noctis’ ability to teleport. With the press of a single button, Noctis can hurl his sword to a target and teleport to their location for a series of follow-up attacks. While it consumes a good bit of your MP, this attack is seamless, easy to execute, and one of the most fun parts of combat. It can be used both offensively, for pursuing targets or leaping past others to a specific target, and defensively, for getting out of a sticky situation or dodging attacks. Speaking of dodging, the defensive part of combat is the only real problem I see. There is no dodge roll or leap aside for avoiding attacks. Instead, players hold a button that puts Noctis into a “defensive stance” in which he dodges all attacks at the cost of a bit of MP per dodge. When a certain indicator appears, players can parry and counterattack certain enemy attacks while in this state. However, this state cannot be entered mid-combo, meaning a majority of the enemies quick attacks will break through to Noctis. Sometimes, though, it’s worth getting hit to see the gorgeous animation. Graphically, there are zero complaints here. The game is just as gorgeous as all the trailers make it out to be. Even in this small segment, the enemies, landscape, and inhabitants all seem lush, well-designed and full of life. While this particular section is a little green-washed, the attention to detail inspires hope for what some of the other areas in the full game look like. And don’t even get me started on the one summon they let you play with. Go watch it right now to see how epic it is. Even with Episode Duscae, I only encountered minor problems. There was some lag when the screen got too busy or some unresponsive targeting, but nothing that can’t be adjusted and fixed for the full game. 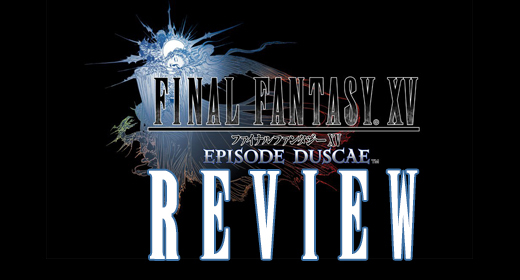 All-in-all, even with just a taste of the story and a good helping of combat, Episode Duscae amps me up for the full release of Final Fantasy XV. Let’s just hope they announce a release date soon. hopefully can get the champion as expected,.